Note: Offers on the asking price may be considered. Surveyed 2015, this vessel will fulfil any role demanded of her, built to the highest standard, as demands a government specification, initially built as a cable layer, she is nonetheless perfectly suited to the service role in support of wind farm operations. She has been fiitred out as a dive support vessel as well with her dive lift, A 2 tonne A frame and a 3 tonne deck winch , a further 3 winches allow her to be positioned precisely over a target. She has a commodious interior and a large wheelhouse. A powerful bow thruster and a multi output generator set that is approximately 60kva output coupled with 8 batteries. She helms comfortably in any seaway. Powered by super reliable Mercedes her twin engines produce a beefy 360 a side , this ship is a multi role investment. She will fit your requirements like no other service vessel. 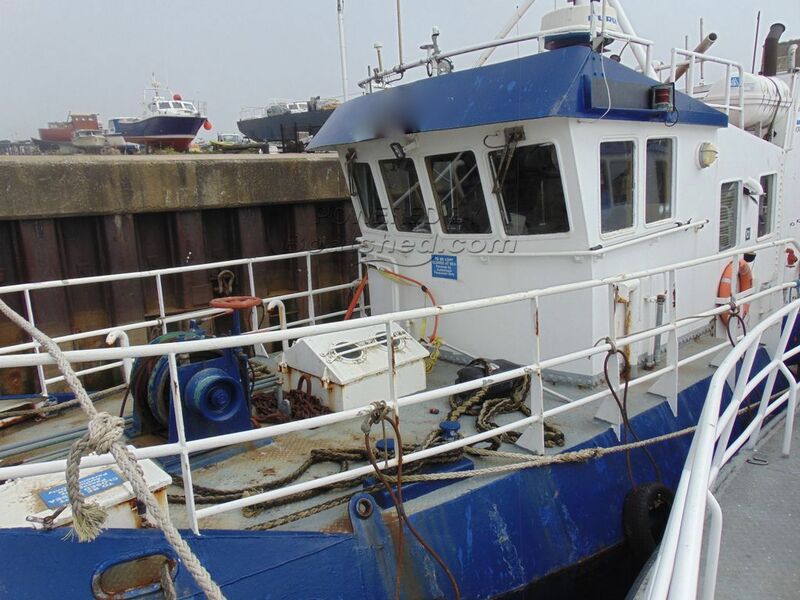 This Service Vessel 18m has been personally photographed and viewed by a representative of Commercial Boat Sales. Click here for contact details.